I love tennis - I really do - however I also hate losing - a lot. Unfortunately for me tennis is a sport where you lose a lot. Even the ATP top 50 players lose roughly every third game. Unlike in any team sport I can’t blame others when I lose. This makes a loss so much harder to cope with. However, above all I love to play matches & compete against others. Up until now I've had two weekly trainings sessions before school. The alarm rings at 5.50am. Without realising it at the time, I got really good at hitting consistent for- and backhands. I also developed a good feeling for the ball - at least that’s what some of my coaches say…have a look at the video below to see for yourself. Then one day it was my turn to have my first tennis lesson. At this time, we trained at "The Garden court" tennis club in South west London. A very inspiring place which was also the home of Oliver Golding and his mother. 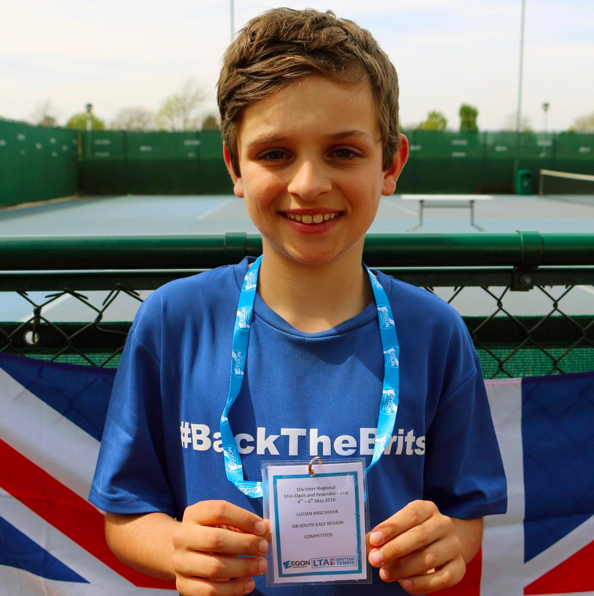 Yes, that Oliver who is as of today the last British Junior Grand Slam winner since Andy Murray!!!. I played there for my first 2 years. Then my brother & I moved to an LTA funded High Performance Academy at the Virgin Active Riverside in Chiswick. I had an amazing time there - the players where all strong junior tennis competitors and I spent a lot of time training with the yellow and green ball in sessions lead by Nick Jaques. 1.) Hunt down or run for every ball – when I say every ball I mean EVERY ball. In, Out, Wide, Short, Reachable or impossible to reach…I tried to get every ball. Why? Because over time it made me faster and pushed my opponent to play with more risk and maybe make crucial mistakes. My personal highlight at that time was that I played every national U10 tournament while in this age category. Have a look at one of my videos about the national tennis tournament experience. Then in 2015 with me playing up in yellow, my brother and I trialled for a place at the Junior Tennis Coaching Academy run by David Felgate & Alan Jones. We were both accepted which made me very happy. The training at JTC was extremely hard but also very good. We focused on consistency drills, resilience in long rallies and everything technical. It was an impressive experience to have coaches like David Felgate, Alan Jones, Ryan Jones, Colin Beecher and James Trotman when I was just 10 years old. My last coach at JTC was Martin Kuumar & he also made a big impression on me. Coaches can be very different in their approach. It all depends what kind of coach you like and or work best with. I personally like coaches that make performance tennis fun but also build on my own motivation to become the best player I can be. Coaches that are able to tell it like it is with a no-nonsense approach. Martin is such a coach. With him I worked hard on my serve as well as on re-engineering (sounds technical but in a way, it’s technical) my forehand swing path. I started playing yellow ball very early & so now that I’m much taller then 2 years ago I need some major change on my forehand swing path and grip. I use too much energy when hitting my forehand and more importantly - I can’t hit balls hard enough to strike winners against the stronger players. So my hits have too much spin (is that even possible?) Martin was about to change all of this BUT then something else happened.!!! Before the summer break I was offered a place as a Tennis Scholar at Reeds School- to become one of their just 16 tennis scholars aged 11 to 19. 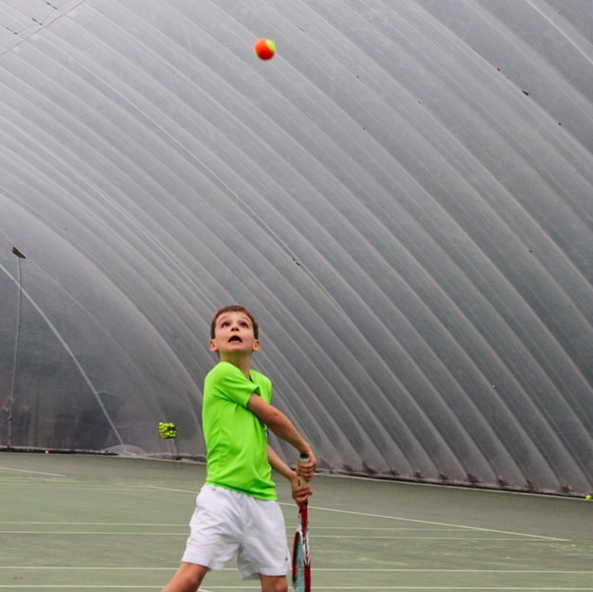 Reeds School combines full time school education up to age 18 with tennis. In just a few days a new chapter of my tennis - and school - life starts. I can’t wait to see what it brings…. stay tuned to find out what happens next in my next blog update. Please also drop me a message if you have a specific question or if you would like to know more about tennis Brothers.